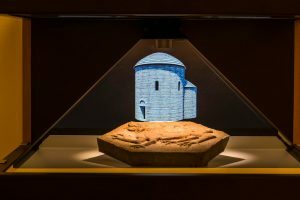 The winners of the 2018 EU Prize for Cultural Heritage / Europa Nostra Awards, Europe’s top honour in the field, were announced on 15 May by the European Commission and Europa Nostra, the leading European heritage network. The 29 laureates from 17 countries have been recognised for their impressive accomplishments in conservation, research, dedicated service, and education, training and awareness-raising. As a contribution to the European Year of Cultural Heritage, this year’s Awards put special emphasis on the European added value of the selected heritage achievements. The winners will be honoured at a high-profile Award ceremony on 22 June in Berlin, during the first ever European Cultural Heritage Summit. St. Wenceslas Rotunda in Prague won the award in the category „CONSERVATION“. Citizens from around Europe and the rest of the world can now vote online for the Public Choice Award and mobilise support for the winning achievement(s) from their own or another European country.